Content marketing has transformed the way businesses interact with their customers. 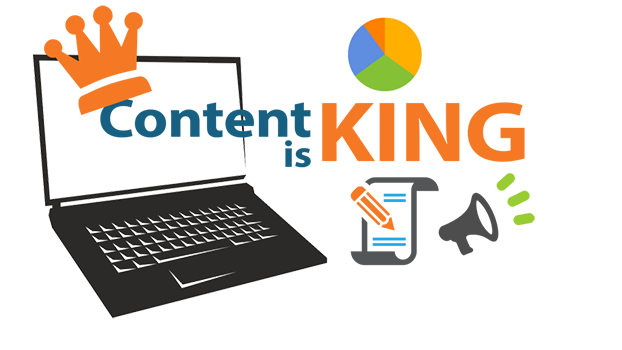 Online business presence allows the audience to get more informative data about your business products and services with interesting graphical content. At the same time it allows the audience to be more communicative with your business and engaged with you every time. If your brand shares creative and interesting content with its audience, chances of increasing brand awareness with massive web audience are higher. Let me tell you an example here: In my childhood, I more often used to sit with my grandma and the reason behind this was her stories. Truly, she was a great storyteller which made me sit with her for hours. Got my point? Storytelling is an ancient approach of communication but now only the ways are modernized. There are many platforms to promote your content online and get benefit of inbound links and people’s reactions to it. Everyone likes a good and meaningful story and if you have one, get ready to share and interact with your audience. Promoting a business digitally is not an easy task due to millions of competitors existing over the web. Submitting bookmarks or article directories will not help you to get quality back-links or attract people to visit your website. Whereas posting latest, unique and original content with relevant targeted keywords will surely open doors to your online success. Content Marketing is surely a great source of inbound traffic if done strategically. Hiring an online marketing team for your business might prove costly but, hiring a content writer to write and share fresh and interesting content on regular basis is comparatively less expensive. There are so many ways to promote your content online like guest blogging, article writing, blog writing, press release, newsletter writing etc. You don’t need to focus on all the methods simultaneously and can start with only 1 or 2 to get better control of what you want to do with your content. 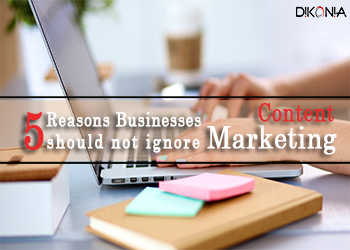 It’s not only mouth saying but in actual content serves as king for online marketing. Having an appealing website without any informative content won’t make any sense to users. We know very well today that, everyone loves graphics but only graphics can’t explain everything. So you should have at-least a relevant piece of info-graphic content to support your graphics on the website. Isn’t it? Content is not just words for your website, it is what that will make your audience understand you represent. Planning to have more relevant content related to your business which will be loved by Google and users both? Dikonia is here to provide 100% unique content to maximize your brand value. Contact us to discuss your requirements with our experts right now.